At the beginning of the seventies during a great moment of this seaport, Rogelio (Roger) Garcia Valdez, founder of Posada Roger, decided to take a chance and built a small inn [posada] with simple rooms and common bathrooms on Basilio Badillo street in an area which is known today as the romantic zone of Old Vallarta. During those days the place was not that well known as a hotel but rather for its snacks, sandwiches and coffee that Rogelio also sold to those who passed by, which caused the place to quickly become a casual and very fun meeting place to get together with friends. 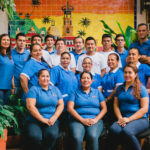 By 1975, Federico Garcia arrived from the United States with the desire to invest in the town and decided to do so in the business of his brother Rogelio. So they purchased the adjacent piece of land where nowadays the famous restaurant “El Tucan” is located which also forms part of the Posada Roger. They started with new construction as well as remodeling work in order to little by little turn the project into a completely new lodging concept where every single room had its own private bathroom. The original structure of the building was changed and new services were added which contributed to the increase of stars representing the hotel’s category. In 1998 Rogelio retired, selling his share to his brother Federico. Was the beginning of a new period now under the leadership of Federico, who accepted the responsibility for the management of the hotel from that moment on, determined to keep up and continue with the tradition of always offering the same warm-hearted and friendly service his brother had started more than 20 years ago. 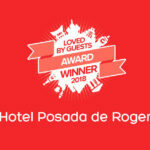 Posada Roger continues to be a family business and at present is a typical hotel excellently located in the center of all the action. Each of its 47 rooms has a different structure, design and decoration. The hotel itself boasts a swimming-pool, an ample sun terrace and a restaurant, among other services and amenities. Aspects such as the name “posada”, its wrought ironwork main entrance door, the fountain in the principal patio, some rooms around the patio, its natural brick walls, corners with small gardens, plants in huge clay flower-pots, flower creepers, among other thing are some of the elements impregnating the hotel with the atmosphere of an old-world and refreshing colonial family hacienda while at the same time distinguishing it as a very traditional Mexican corner in Puerto Vallarta. The place by itself attracts and awakens the curiosity of many of the area’s passer-bys. 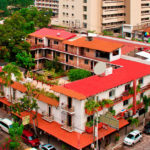 It is very common that some tourists after having enjoyed a stay in time-share resorts or luxury hotels in areas such as the Marina or Nuevo Vallarta, and having discovered the Posada Roger while walking through downtown, decide to extend their vacations for a few more days to lodge in search of enjoying the authentic Mexican flavor always offered by this place. 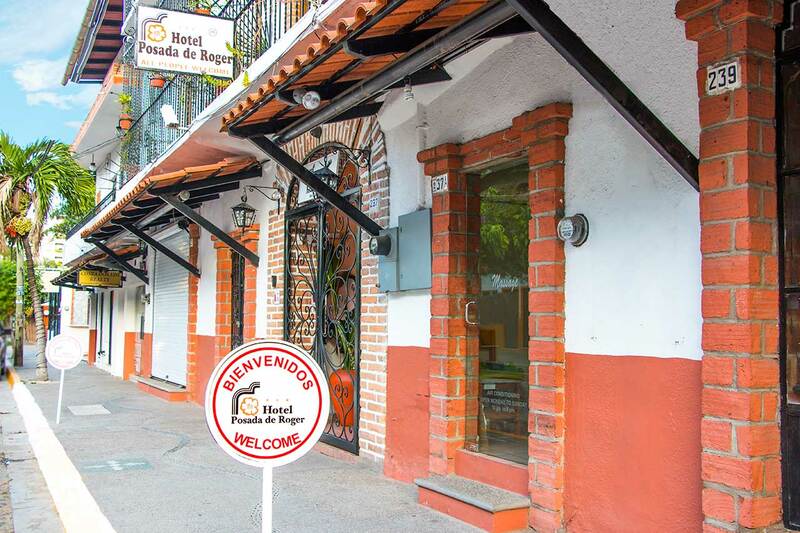 Posada Roger is a charming corner maintaining Vallarta’s original spirit. According to Sonia Elsa Garcia, daughter of Federico Garcia and present manager of the hotel; the most effective source to generate customers continues to be through word-of-mouth recommendation, including the testimonies of many of its guests who also recommend the hotel via Internet, primarily because of the efficient service and the warm-hearted and friendly treatment they have received. Thanks to the size of the hotel the service offered is very personalized, an aspect which allows for a very family-like coexistence between staff and guests. Most of the customers are known personally and are always addressed by their names. Sonia Elsa says: Something very particular is that our customers always appreciate and acknowledge the impeccable cleanliness of our installations which is an aspect that I myself pay attention to and maintain and take care of. Naturally Sonia Elsa is proud of working in this hotel of family tradition. What excites her most is to project and develop new ideas, as well as to modify and remodel details allowing her to improve the hotel year after year, thus continuing to be a favored hotel amongst the sea of new accommodation options opening up in the area.